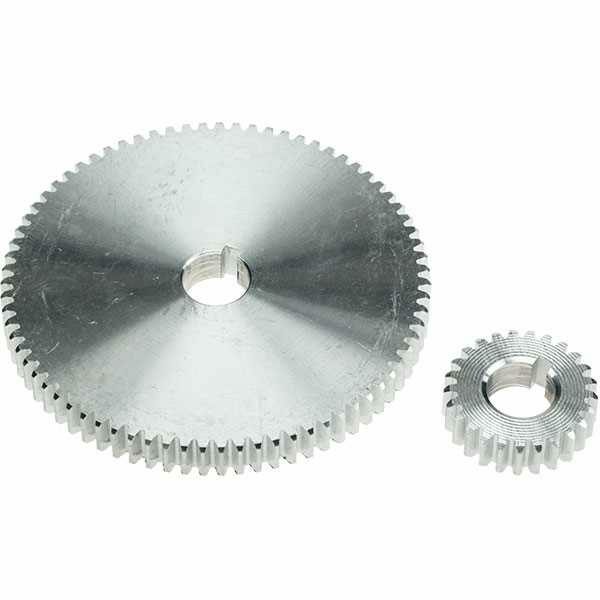 25 tooth and 75 tooth metal change wheels suitable for SIEG C2, C3, SC2, SC3 and other mini-lathes. Cutting Worm Gears - DP and MOD threads on the Mini-Lathe. The data sheet includes 4 tables showing change wheel combinations to cut Diametral pitch (from DP20 to DP80) and Module pitch (from Mod 0.1 to Mod 1.25) threads on Mini-Lathe fitted with either a 16TPI or a 1.5mm pitch leadscrew. Our thanks to Brian Wood, author of the book Gearing of Lathes for Screwcutting to be published later in 2016 by The Crowood Press, Marlborough, SN8 2HR.